Take time off. 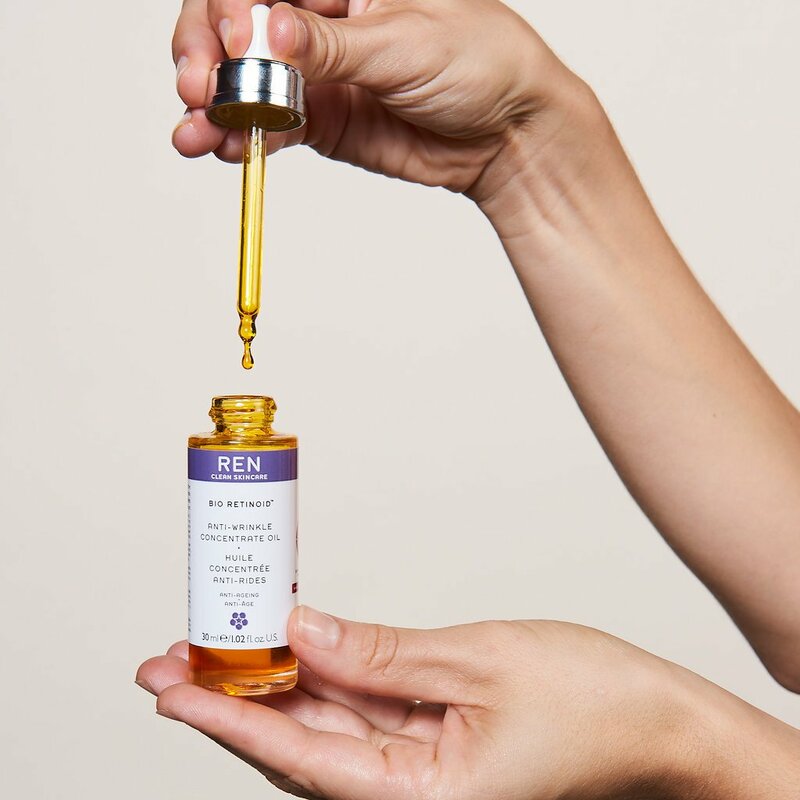 This innovative anti-aging serum mimics the effects of retinol to gently combat the look of deep wrinkles and age spots without leaving skin dry, irritated, or flaky. No retinol, no worries. This cruelty-free hydrating oil uses a groundbreaking blend of 100 percent naturally-derived vitamin A, pro-vitamin A, and retinoids—a gentler alternative to synthetic retinol—to deliver a smoother, younger-looking complexion. Wrinkles are relaxed, age spots are reduced, and skin appears brighter—without irritation. Safe for pregnancy, premature aging, sensitive skin, you name it. Protects, hydrates, and strengthens skin while reducing wrinkles and age spots. Warm four or five drops in the palm of your hand and gently pat onto the face, neck, and décolleté. For more anti-aging results, start with a lightweight serum then follow with Bio Retinoid™ Anti-Aging Cream in the evening. White Beggar's Tick Flower Extract smoothes the look of wrinkles and renews skin texture. Use at day and night before your cream, warming four or five drops in the palm of your hand and gently patting over the face, neck and decolletage. Works perfectly with Keep Young and Beautiful, Firming and Smoothing Serum or Radiance Perfection Serum, applying these first, followed by Bio Retinoid Anti-Wrinkle Concentrate Oil and then cream.